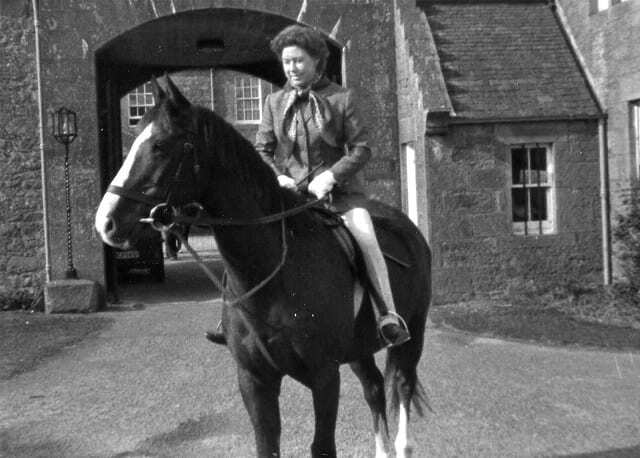 An exciting exhibition, celebrating the inspiring women of Glamis is to be exhibited at Glamis Castle from 30th March 2019. Glamis Castle is recognized as the family home of the Earls of Strathmore and Kinghorne, but women have played a major role in the history of Glamis. Ranging from Queens and Princesses to Countesses and businesswomen, botanists, composers, novelists, poets, philanthropists, servants and charity workers, the women of Glamis have remarkable stories to tell and Glamis would not be what it is today without them. This exhibition recognizes the valuable contributions these women have made to history. The idea for the exhibition resulted from various archive enquiries which revealed new information on lesser known women of Glamis, including the opera composer, Lady Mildred Bowes Lyon, daughter of the 13th Earl and great-aunt of HM The Queen; as well as Lilian Bowes Lyon, cousin to HM The Queen Mother, author/poet and ‘Queen of the Slums’, who sponsored two Jewish boys in the Second World War; and the heroine nursemaid, Annie Jackson, who saved the life of the 13th Earl’s grandson, Hubert during a shipwreck off the Bay of Biscay in 1885. Following correspondence with the Castle Archivist, Annie’s great-granddaughter kindly donated her archives to Glamis in 2018. Also featured in the exhibition are Princess Johanna, great-granddaughter of King Robert the Bruce, who married Sir John Lyon in 1376; the ill-fated Janet Douglas, Lady Glamis, who was burnt at the stake in 1537; Mary, Queen of Scots, who visited Glamis in 1562; the wealthy 18th century heiress, Mary Eleanor Bowes, who paved the way for the rights of women in her landmark divorce; HM The Queen Mother, HM The Queen and HRH Princess Margaret, who was born at Glamis in 1930; as well as various Countesses, who played more than a supporting role to their husbands, including the well-loved Dowager Countess of Strathmore. Exhibits comprise portraits, photographs, original documents, clothing and shoes, encompassing an original Mary, Queen of Scots charter, dated 1567; and several hitherto unseen royal artefacts, including recently discovered letters from ‘Lilibet’ (HM The Queen) to her grandparents, the 14th Earl and Countess of Strathmore. The exhibition will be open daily from Saturday 30th March 2019 and will be included in regular admission ticket prices.